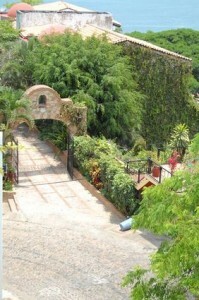 Mexican auto insurance at mexicaninsurancestore.com For Canadian Travelers To Mexico! When traveling to Mexico from Canada, it’s important you create travel plans that avoid some of the common pitfalls visitors to Mexico often face. Aside from packing your bags and grabbing a map, knowing that your driving is covered south of the border can keep your expenses, stress levels and most importantly legal troubles down to a minimum. That’s why you need Mexican auto insurance at mexicaninsurancestore.com . The single most important fact Canadians need to know about driving in Mexico is that Mexican authorities do to not recognize foreign auto policies. This effectively means that if you choose to drive in Mexico without first obtaining Mexican auto insurance at Mexicaninsurancestore.com, you have absolutely no protection if an accident or theft of your vehicle occurs. That’s why smart Canadians don’t risk driving without Mexican Insurance Online ! Buying a Mexican Insurance Online policy in Mexico is akin to buying water to drink in Disneyland – expensive. In addition to the unnecessarily inflated costs, you won’t have time to make sure your exact needs are covered. That’s why Mexico travel experts strongly suggest you obtain Mexican auto insurance at mexicaninsurancestore.com online before your travel begins. Buying your Mexican Insurance Online allows you to make sure you get the Mexican auto insurance at mexicaninsurancestore.com policy you need at the best possible price. In addition, you can print your Mexican Insurance Online policy immediately, so there’s no question as to whether or not you’re covered. – Make sure the company providing the insurance provides policies that are approved for use in Mexico like Mexican auto insurance at mexicaninsurancestore.com policies listed here. – Make sure you have your insurance BEFORE you decide to drive. We allow you to print your policy as soon as the purchase is made. No waiting on mail, no wondering if you’re covered. Instant policy coverage. – Make copies of your policy and leave one with a neighbor or family member in Canada. Nothing can be predicted while on vacation so make sure someone not traveling has your policy number in case you need it. – Avoid roadside policy sellers that inflate prices and offer bare bones policies that won’t cover what you need. All Mexican Auto insurance at MexicanInsuranceStore.com policies are quite different and some shockingly so! – Understand your coverage, what is covered and what is not and in what locations your coverage covers. – Buy the policy regardless of your travel plans. The rates are so low, it’s best to purchase insurance even if you don’t expect to drive while in Mexico. You never know when the opportunity to explore more of Mexico may arise. Canadians that drive in Mexico with Mexico auto insurance drive knowing they are protected in case of an incident. Those who have been in incidents, or who have friends with Mexican horror stories, know that there’s no better feeling than knowing the coverage is there when driving in Mexico. Mexican Insurance Store is there to help. They’ve got outlined procedures, advice and tips to get a stress-free experience in Mexico. Check out the articles in our blog. If you have any suggestions please let us know!